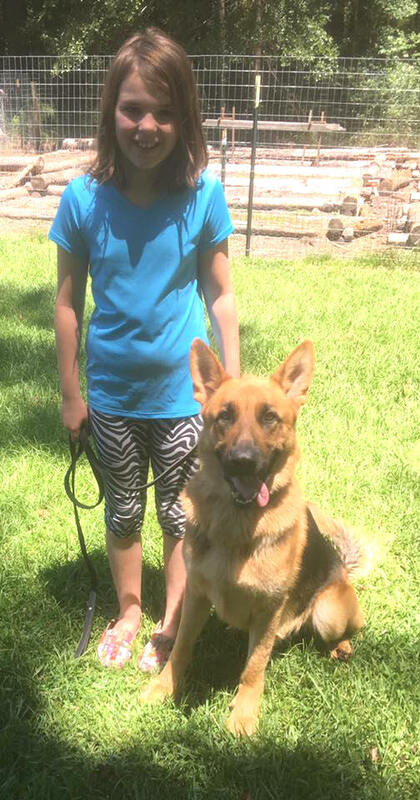 Neptune Kennels is proud to announce our new working relationship/endeavor with Mintern's German Shepherds in breeding AKC quality companion German Shepherd's. While we continue to focus on working dogs, we constantly have clients looking for German Shepherds that are a bit more calm but still have great looks as well as the highest standards in health. Mintern's German Shepherds has been breeding quality German Shepherds for over 22 years. They currently have a waiting list of individuals looking to purchase their puppies. The owners also have extensive knowledge relating to the health and well being of canines in general. We feel privileged to join them in this endeavor. Paren and I are extremely happy and excited to announce our working relationship with Kevin and Beth! at their Delco, NC kennels! His Facebook page above will offer more information if you are interested! Currently Apollo is there with Kevin and his family! and we encourage you to watch our website for updates on this new endeavor!